Proper planning is a key to the success of any business. To that end, we can assist you with everything from tax planning and management, assistance in obtaining loans and budgeting to business succession planning. We have the ability to help you plan your future and control your destiny. Your business must have appropriate financial controls in place to survive. A strong system of internal control is necessary for management to properly direct business activities and safeguard assets. We can help establish and improve internal controls by implementing a system of checks and balances to minimize fraud. Small Business Accounting. Includes a custom set of services tailored to your needs, including such items as bank statement reconciliation; Profit & Loss, Balance Sheet and other reports; General Journal entries or clean-up; and monthly or quarterly tax filings and reports. 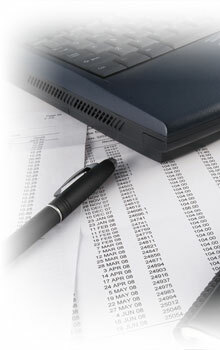 Payroll Services. Assistance in setting up your payroll system and oversight to make sure no costly errors occur, as well as offering support as your administer your own payroll. Part-Time CFO Services. While most business owners are in agreement that managing the accounting and finance function may be the most important key to business success, many small businesses do not need and cannot afford a full-time CFO. We step in to help, offering everything from planning, to oversight, to trend analysis and cash management, to assistance in obtaining bank financing. Mills & Mahon will help you achieve a level of success you may not have thought possible! Reviews & Compilations. Reviews are methodical validation of your financial statements to assure you follow Generally Accepted Accounting Principles (GAAP), whereas Compilations are simply the reports without any level of assurance. Either of these may at times be required by financial institutions or business partners. Cash Flow Management. For a small business, ‘Cash is King,’ since a strong cash flow is the most important assurance of ongoing success. Mills & Mahon will help you to chart out your cash requirements, establish methods to manage your day-to-day inflows and outflows, and to build a solid cash foundation to meet cash needs as they arise. Bank Financing Assistance. As part of Cash Flow Management, we may determine a line of credit is necessary. Or you may have a specific requirement for which bank financing is in order. Whatever your need, we will help you determine the best way to finance, we will prepare the reports necessary to substantiate your request and we will represent you in meetings at your bank so you have a greater chance of success. Strategic Business Planning. At various points in a business’s lifecycle, we can participate in and/or lead a strategic planning effort. This may be important when a business is starting up, when new products are launched, when there are organizational expansions or if a turnaround of an existing business is in order. Put the good financial decision-making and objectivity prized by Mills & Mahon clients to work on your most important problems, and we will help you map out and document a powerful solution. Succession Planning. Important for all businesses for which the goal is a smooth transition to the next generation of leaders, and critically important when there are family members involved. New Business Formation Guidance. We help your business get started off right, from choosing the correct business structure, to preparing the proper paperwork, to assuring a leading strategy and sustainable tactics for your competitive environment. Mills & Mahon will help you set the foundation for success. Internal Controls. Stop problems before they ever occur, prevent theft and fraudulent activities with proper internal controls. Call us, we will show you how to effectively protect yourself, your business and your customers. Litigation Support. We will work with you and your legal team to make sure you are well represented, both pre-trial and during the trial, including evaluation of materials, assistance with witness questions, exhibit creation, expert testimonial rebuttal and assistance with settlement negotiations.